Cornell will have a fifth member of their track & field/cross-country family trekking to Rio de Janeiro for the next Olympic Games. Former head coach Nathan Taylor will making his second trip to the Olympic Games to coach the U.S.V.I track & field team. He will be sharing head coaching responsibility of the Olympic team with the current heat coach of the Cornell program – Adrian Durant. Taylor will be joining Durant, U.S.V.I triple jumper Muhammad Halim, Spanish sprinter Bruno Hortelano, and American hammer thrower Rudy Winkler on “Team Cornell” down in Rio. 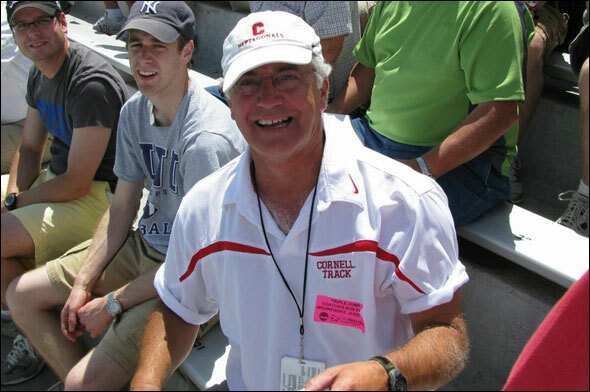 Taylor stepped down as the Cornell head coach last summer and currently coaches at the Spire Track & Field Academy in Ohio. This entry was posted on Monday, August 1st, 2016 at 6:34 am. It is filed under Olympics, Spotlight. You can follow any responses to this entry through the RSS 2.0 feed.